Originally opened as Henry's Speedway, Daugherty Speedway was a 3/8 mile stock car track in Chase, Indiana (Benton County). The track opened in June 1967 and primarily featured stock car and special sprint car races. The track surface was originally dirt when the speedway opened in 1967. The track was later paved, but was converted back to dirt. 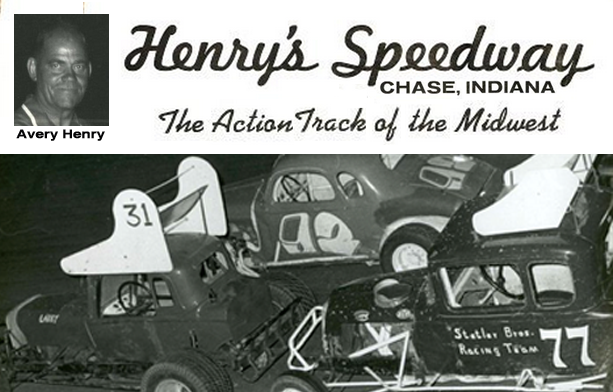 Henry's Speedway was renamed Benton County Speedway until closing in 2001. The track was re-opened in 2002, and closed again in 2009. Michael and Kim Daugherty purchased the track in 2013 with plans to bring it back to the glory days of the best dirt track in the midwest! The Daugherty's are focused on making racing affordable and creating a family environment as well as giving back to the community. Michael and Kim both bring different perspectives on racing to the table. Kim grew up around racing her entire life, while Michael watched his first circle track race at Daugherty Speedway in 2006. As avid entrepreneurs, The Daugherty's feel that they can take what they have learned from the multiple business ventures they have owned and make the track a success. Daugherty Speedway runs UMP MODIFIEDS, UMP PRO LATE MODELS, PRO STOCK CARS, SCRAPPERS, AND MINI WEDGES.